Nonplussed, the couple set the model on the mantle piece. That night, while hosting a party at their home, the Selzers were surprised by the unsolicited admiration for the model among their guests. “They said, ‘You must build it’,” the now-retired lawyer says. The couple chose to build the renegade scheme. Today, after living in the house for more than 25 years, they say they keep getting compliments. “It blows us away,” Selzer says. The Selzer house and his own office on Tahquitz Canyon Way demonstrate Kaptur’s preference for what he calls the “desert style”: thick walls, deeply inset windows, wide overhangs that protect the house from absorbing heat, and the house oriented to capture prevailing breezes. His biggest influence, Kaptur says, is Frank Lloyd Wright, who designed many desert-style buildings, including the famous Taliesin West in Arizona. “I like form that is flowing and organic,” Kaptur says. “Organic,” of course, was one of the master’s favorite terms. In contrast, the hard-edged International Style of steel and glass appeals less to Kaptur, who finds it “cold.” And despite the fact that the Steve McQueen house, one of his best-known designs, was built in the popular post-and-beam style, Kaptur is not convinced that the house would be comfortable to live in. “Too cold,” he says of the Modernist landmark. 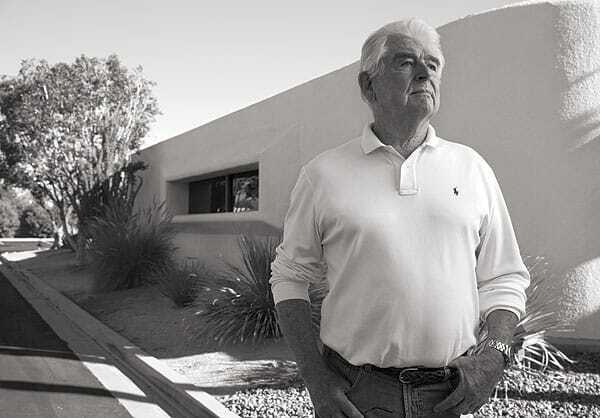 He prefers other buildings, such as his Municipal Golf Course clubhouse. Tony Curtis and Janet Leigh, however, were apparently less charming. “Typical Hollywood brats,” he says. Surprisingly, the architect never met McQueen; the house had been built originally for another client. If predestined for architecture, Kaptur’s route to the profession was circuitous. After high school, he attended Lawrence Technical College in Michigan, working toward a degree in engineering. In 1951, with the Korean conflict flaring up, Kaptur enlisted in the Marines rather than be drafted into the Army. The young man who had never been out of the Midwest had his first glimpse of Southern California at Camp Pendleton, as well as architecture in Hawaii and Japan en route to Korea. Japan was still devastated by the war, but he recalls he was able to see the Imperial Hotel by his hero, Frank Lloyd Wright. Upon leaving the service, Kaptur hitchhiked from San Francisco to San Clemente to rejoin his future wife, Rosemary, whom he had met during his stay at Camp Pendleton. Soon the couple had a child, and the ex-Marine worked in a plant nursery to support his young family. Kaptur’s father invited Hugh to work at the General Motors styling shop in Detroit, and the family decamped to Michigan, where Hugh worked by day and attended classes at Lawrence Tech by night. However, California still held an attraction for the couple, and they moved to Palm Springs, where Rosemary’s mother now lived. Kaptur first worked briefly for Wexler & Harrison but was laid off during the 1957 recession. Skilled at free-hand drawing, he made artist’s renderings of buildings for Wexler, Albert Frey, and others. 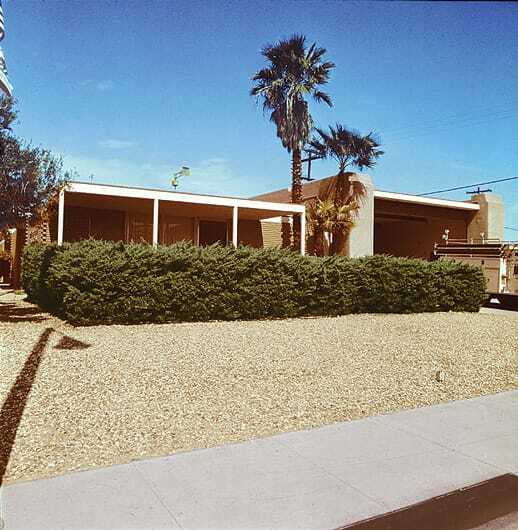 Business picked up in 1958, when homebuilders began developing Palm Springs on a large scale, and Kaptur found himself designing post-and-beam houses. “I was definitely influenced by Palmer & Krisel,” the firm that was instrumental in setting the trend for the post-and-beam style, notable for its clean lines, wood construction, and enormous windows. In his ninth decade, Kaptur maintains a busy schedule and describes himself as “semi-retired.” Working out of the couple’s home, his current wife, Helen, handles the telephone and scheduling. “She’s a perfectionist,” Kaptur says, admiringly. A hands-on architect, he knows enough about carpentry, landscaping, and plumbing to handle small jobs around the house. 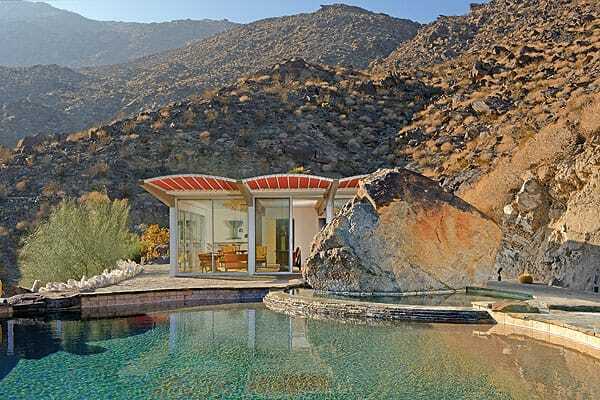 On a recent Sunday, the octogenarian was unable to come to the telephone because he was on the roof of his 6,000-square-foot house on a Palm Springs mountainside. “I was hosing off the roof in case embers were falling from the Canyon fires,” he says. 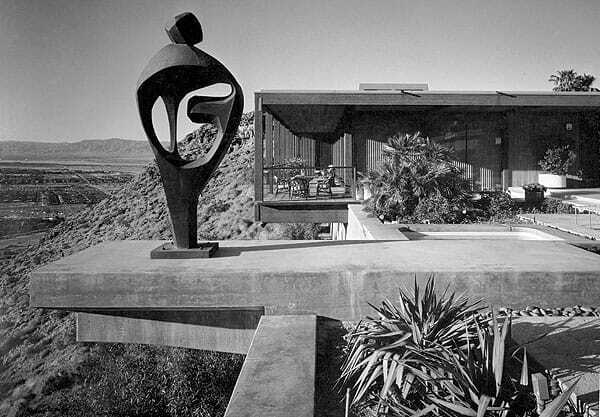 Situated above Palm Springs is the SEVA residence, also known as the Russel House. 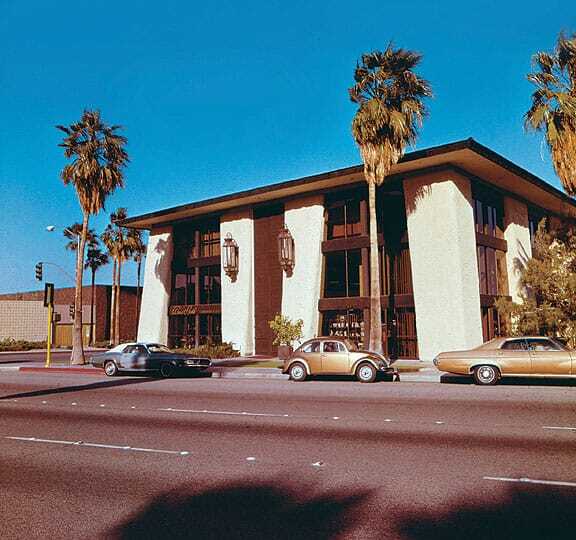 The Tahquitz Plaza/Anderson Travel buildings. 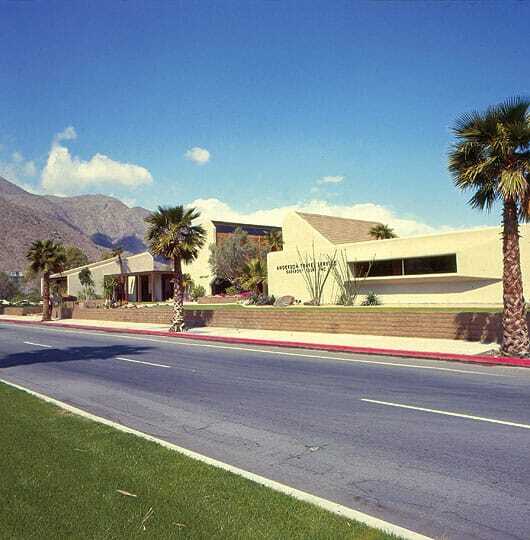 Hugh Kaptur designed this home on Palm Springs’ Southridge Drive for William Holden in 1977. 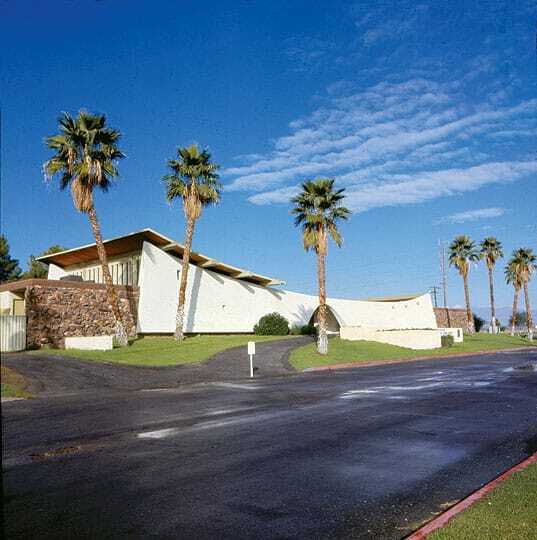 The Palm Springs Golf Course Clubhouse. 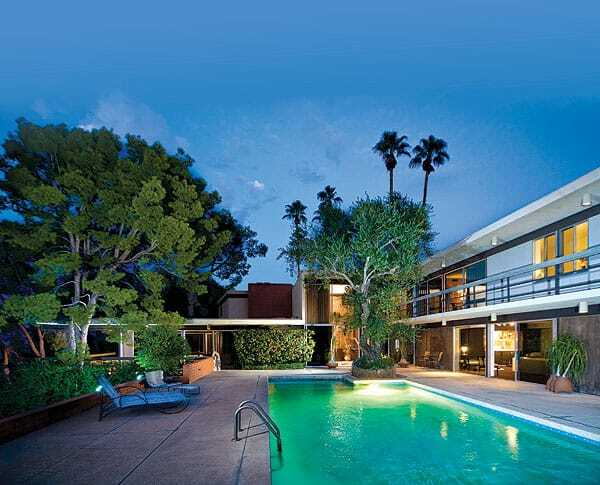 Steve McQueen’s four-bedroom, 4,300-square-foot Southridge home, designed by Hugh Kaptur in 1968. 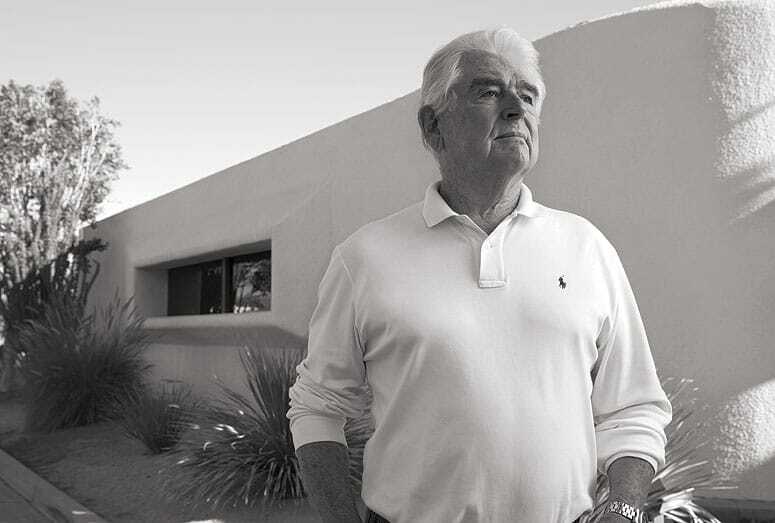 Architect Hugh M. Kaptur has spent more than 50 years designing some of the Coachella Valley’s most notable midcentury modern architecture, including the Palm Springs Fire Station and residences for Steve McQueen and William Holden. Palm Springs Fire Station #3. 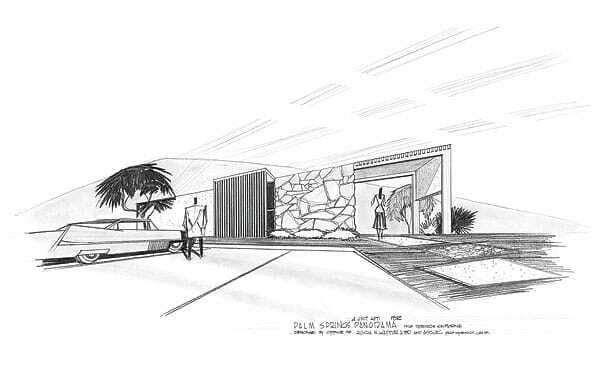 Hugh Kaptur’s original sketch for the Palm Springs Panorama, circa 1960. 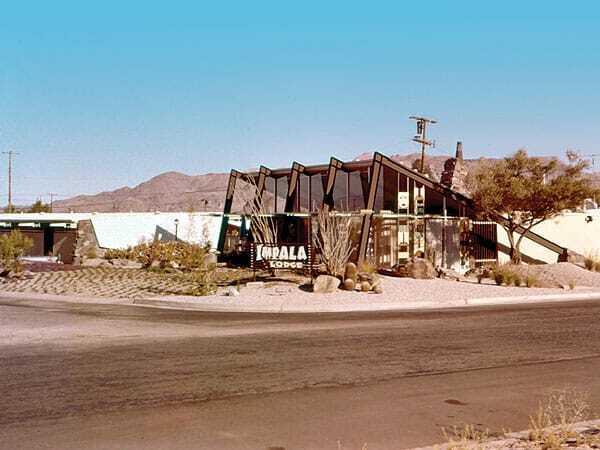 Kaptur’s first Palm Springs project was the Impala Lodge, now the Triangle Inn, built in 1957-58.